We need to act now, if we want to keep the planet in a liveable condition under climate change. The Paris Climate Agreement was a step in the right direction. Now ambition has to be raised and wrong approaches to solving the climate crisis have to be prevented. We want to promote real alternatives, advance social-ecologic transformation and hold those accountable whose business model causes climate change. A change of course is possible! The 24th Conference of the Parties (COP 24) of the UN Framework Convention on Climate Change (UNFCCC) will take place from 2 to 14 December in Katowice, Poland. It will be the third "Polish" COP in the past 10 years. 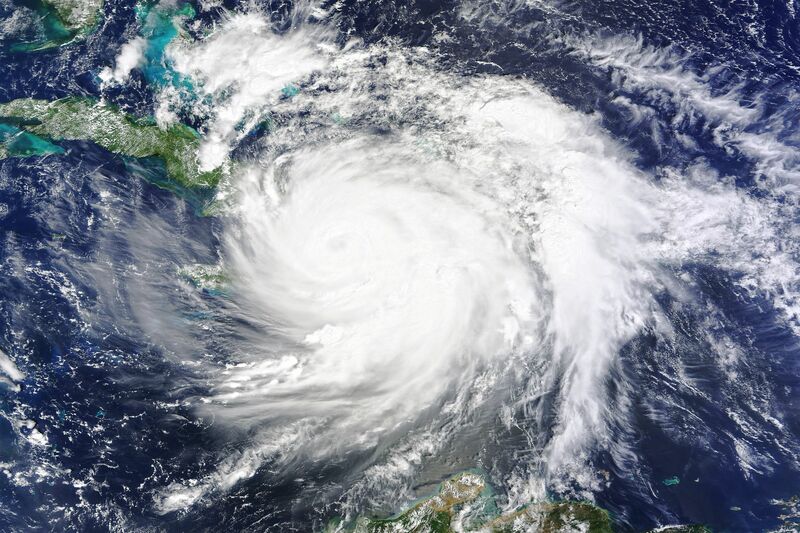 The conference is supposed to finalize a rulebook by which the 2015 Paris Agreement will be operationalized, in order to limit global warming to a maximum of 1.5°C. You can download an extensive list of our activities here (PDF). 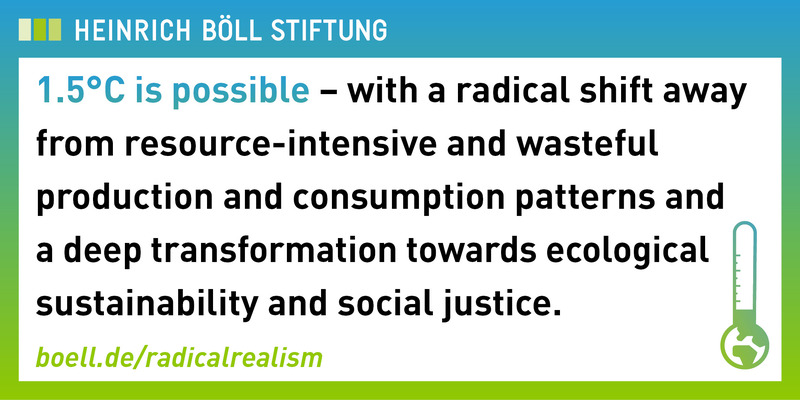 12.12.: Discussion Forum - Radical Realism for Climate Justice: 1.5°C is possible! 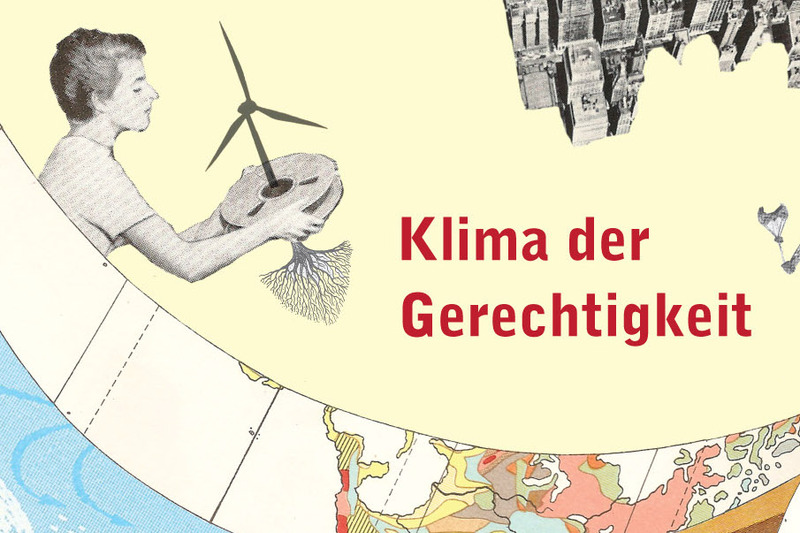 Our German blog "Klima der Gerechtigkeit" offers current information and commentaries on national as well as international climate and energy policies. 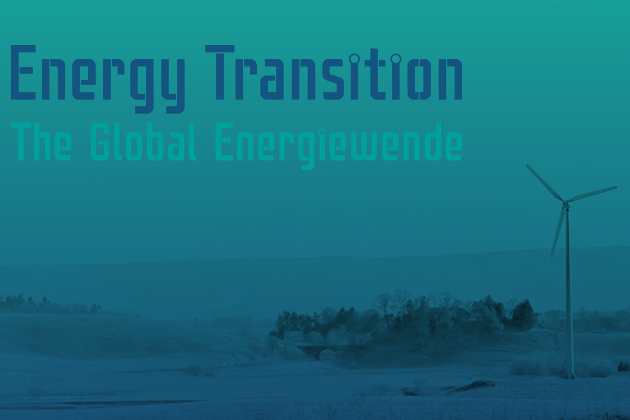 In our blog "Global Energy Transition" global experts write about the international Energiewende. Oil industry actors had early knowledge of climate risks and important opportunities to act on those risks, but repeatedly failed to do so. Those failures give raise to potential legal responsibilities under an array of legal theories. 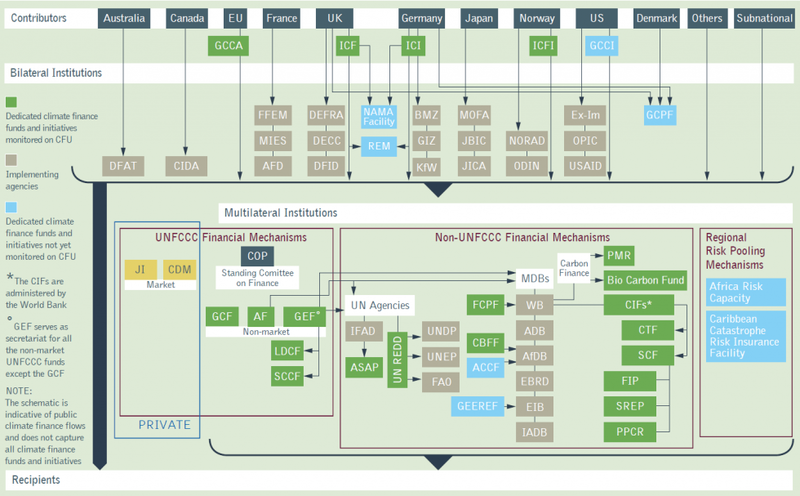 The G20 uses the term “Green Finance” as a broad umbrella term that refers to the major shift in financial flows required to support projects that benefit the environment and society by reducing pollution or tackling climate change. 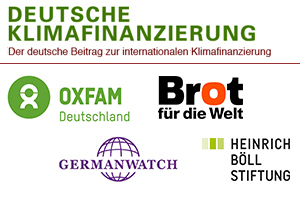 This site germanclimatefinance.de is designed to critically evaluate and increase transparency regarding the German government’s contribution to international climate finance. 90 oil, gas & coal producers are responsible for two thirds of our CO2 emissions in the atmosphere. It’s time to make them pay for their climate damage.